Putting your tax payer’s money to good use – an effective exit strategy. Now, I am not a man given to over-excitement. I am not easily alarmed nor prone to panicking. I am, however, a realist. And when I say that I am a realist, I mean – have an “Exit Strategy”. And by exit strategy, I mean a plan on how you hope to vacate the “premises” as it were, when things go south (and they will). 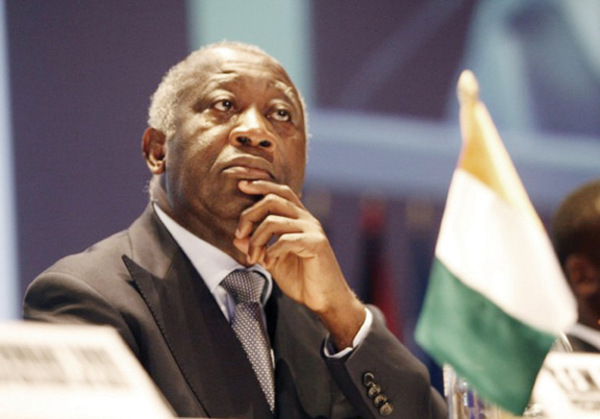 Laurent Gbagbo is a sorry example of an idiot who had no exit strategy. I mean, allowing himself to be caught in a hotel room, of all places, with his trousers still on. Has the man no intelligence? To have an exit strategy, or not to have an exit strategy. That is the question. Idi Amin (Dada) went to Saudi Arabia (Why is any one’s guess). That villain, Charles Taylor went to Nigeria (Reasons, I would say – obvious), while our great friend, Robert Mugabe – well the way old Bob is going, he will in all probability expire before he needs to exit stage left. And then we have Muammar Gadaffi, bless his totalitarian heart. His exit strategy is to fight on, in some weird death pact with his deceased son. Odd, but that’s Muammar for you. Exit strategy – going down in a blaze of glory shouting: Gadaffi is dead, long live Gadaffi! As for me, my strategy is much, much more elaborate. Firstly, I have huge amounts of tax payers hard-earned money saved up in a Swiss bank account (don’t even ask). Normal for a dictator, I hear you say. Yes, yes it is, but my plan thickens. I currently have an army of migrant labourers digging a tunnel from under the Presidential palace to an aerodrome (of undisclosed location) where a private luxury unmarked jet is waiting for me (again at tax payer’s expense), fully fuelled and primed, ready to roll, as it were. My tunnel will have false walls, dead ends and water tight doors. (Why water tight doors, I do not know, but it sounded like a good idea at the time).I will have a small electric (environmentally friendly) locomotive (armed with tomahawk missiles and roof mounted cannons) waiting for me, which will deliver me through the tunnel at a brisk pace, directly to my airplane. There will be pits full of crocodiles and rooms with dirty laundry, offices filled with government bureaucrats & red tape to slow down my pursuers and signs with directions to the Dept of Treasury (to throw off the greedy and foolish). And migrant labourers, I hear you ask. Easy – they are cheap and when they give problems, like demanding wages, lunch hours off, medical benefits and basic human rights etc, one can have them arrested and deported immediately. It’s that simple. And where will my plane take me? Now that is a secret. All I can say is – think Richard Branson. Think private island. Now that is an exit strategy! If it sounds all too much like James Bond villain and Dr Evil -ish, that’s because it is. And that is the way I want it. This entry was posted on Wednesday, June 1st, 2011 at 06:01 and is filed under Lessons in Dictatorship. You can follow any responses to this entry through the RSS 2.0 feed. You can leave a response, or trackback from your own site. 2 Responses to Putting your tax payer’s money to good use – an effective exit strategy.